thoughtful choices, so your day can flow smoothly. 100% USDA certified, organic essential oils of Lavender, Lavandin Grosso, Vetiver, Red Mandarin, Tangerine, Sandalwood, Blood Orange, Clary Sage. 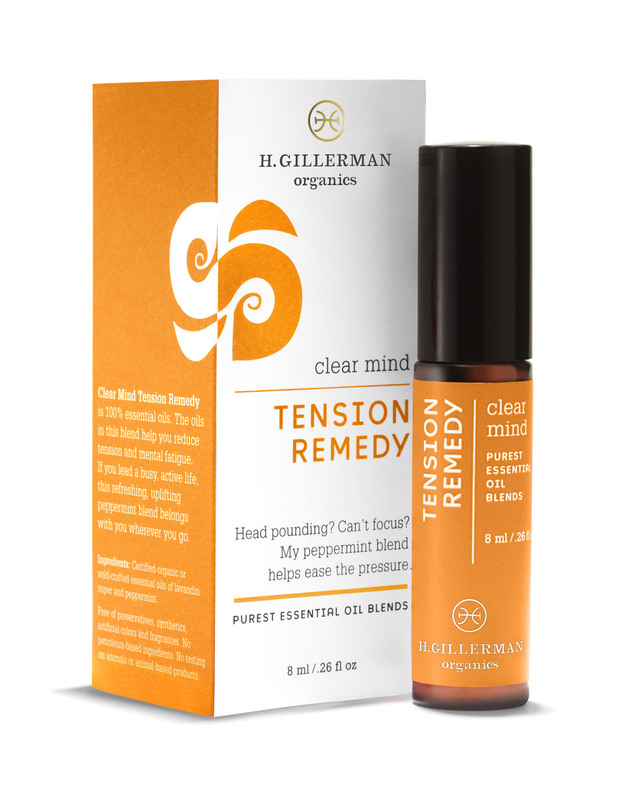 A wonderful review that came via our e-mail this morning: “Not only is Hope Gillerman’s Stress Remedy an integral part of my decompression and self-care rituals, it also doubles as my scent. I wear a dab on my wrists and neck as a daily reminder to stay calm and mindful. Without fail, people stop me in restaurants and coffee shops to gush over my “perfume” and ask me what I’m wearing.”-Nicola Spunt Thank you for such a WONDERFUL review! It is because of Hope Gillerman that I have begun to explore the Alexander Technique for my personal sciatica issues. Along with the help of homeopathy, this oil is extraordinary. I like that all of Hope’s oils are 100% organic. And I truly enjoy this blend. Too often a lavender-only oil can be too pungent for my nose to use throughout the day. I, too, dab it on my wrists as I feel that is a wonderful pressure point for my stressful lifestyle. A few deep breaths with this oil on my wrists and I begin to feel collected. Thank you, thank you, thank you. This stuff is amazing. I suffer from anxiety and like most look for holistic approaches to ease my anxiety. This oil is wonderful. The smell is so calming without being overbearing. I don’t use it every day however when I do use it I put a little on my pressure points and instantly feel better with a deep breath. I smelled it on a friend, loved it even more the name of it :). I’m looking forward to using it.